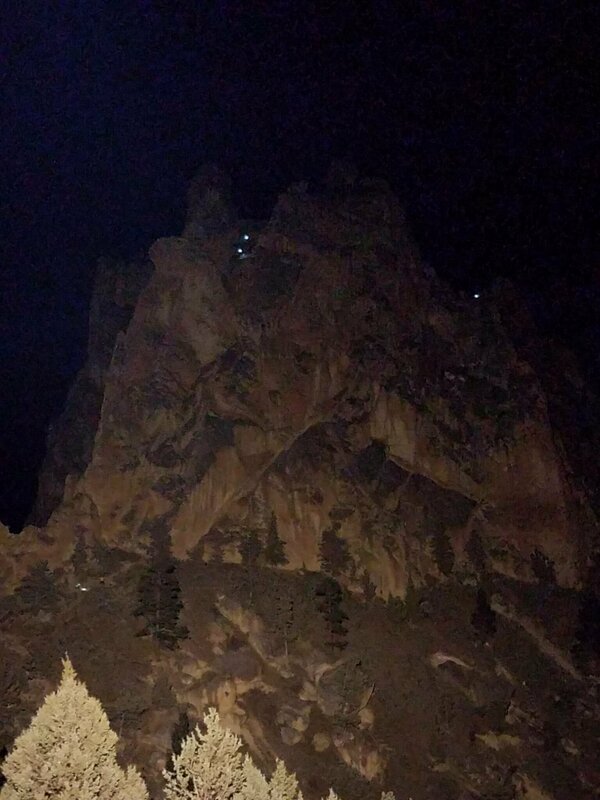 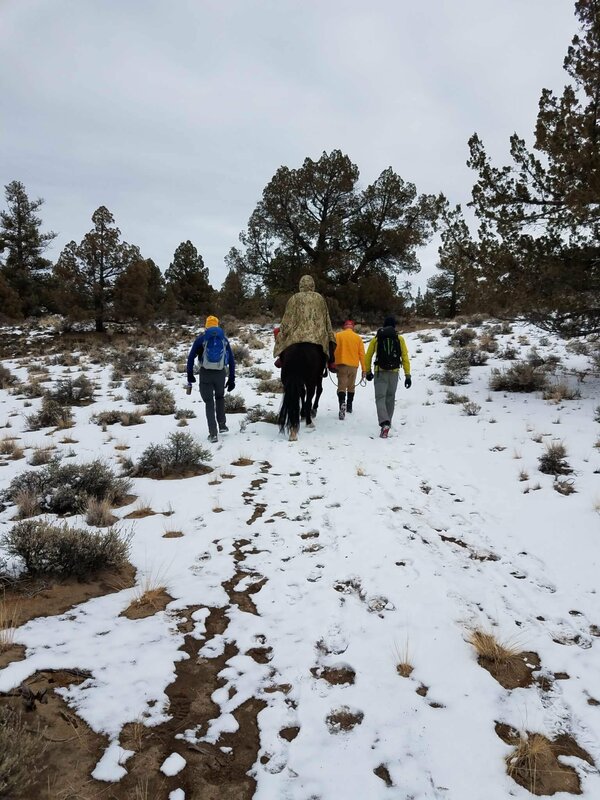 On 03/27/18, at about 8:33pm, 9-1-1 Dispatch received a call from Alex Chmiel, reporting he and his two friends, Enos and Reiswig had been climbing at Smith Rock State Park and had become stuck on the climbing route “Wherever I May Roam”. 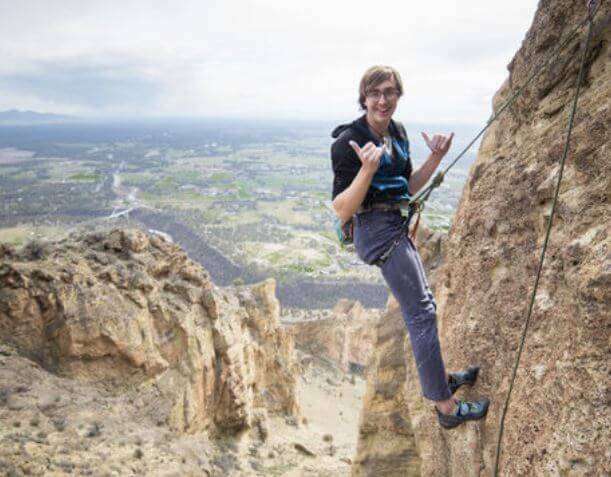 Chmiel reported he and his friends had successfully climbed to the top of Wherever I May Roam and then shortly after beginning their decent via rappel, their rope became stuck at some point above them and they were unable to descend any further. 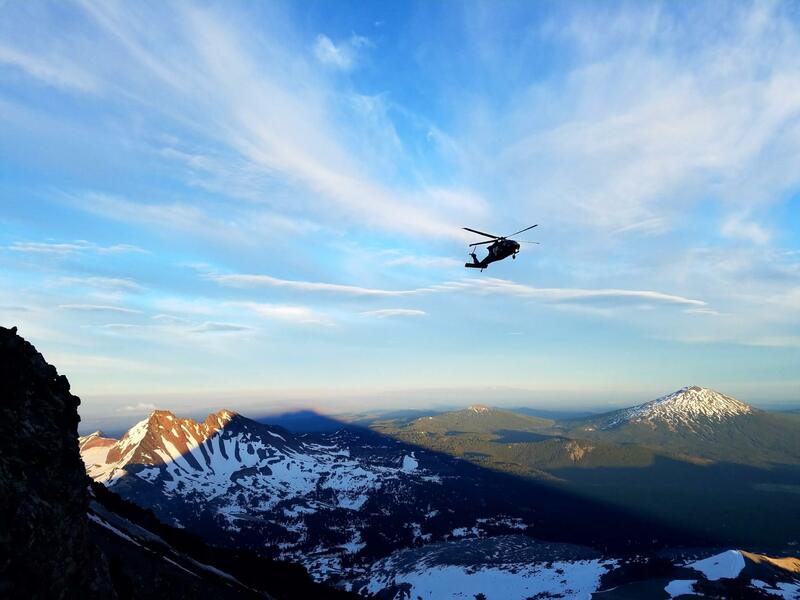 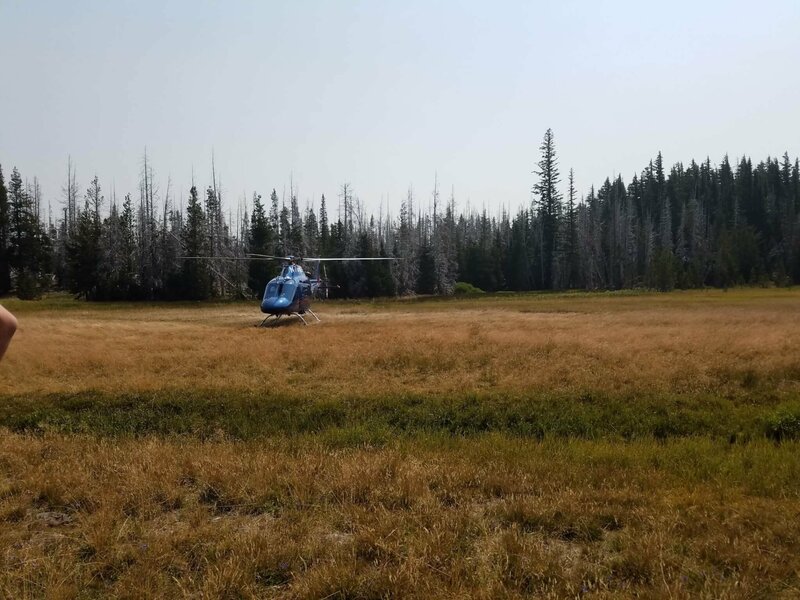 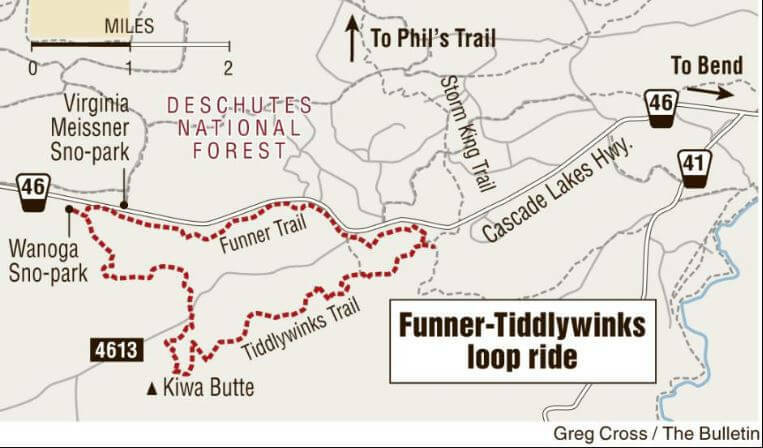 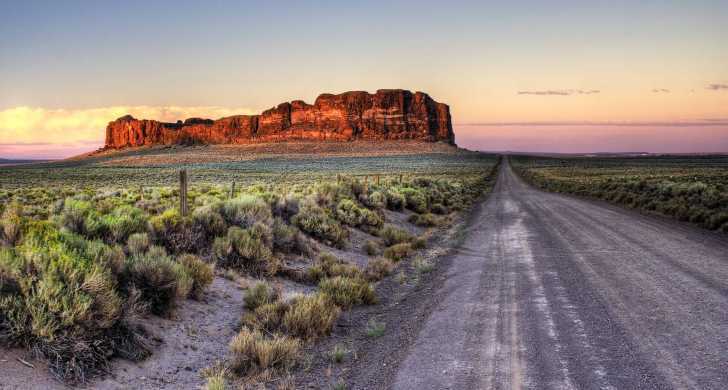 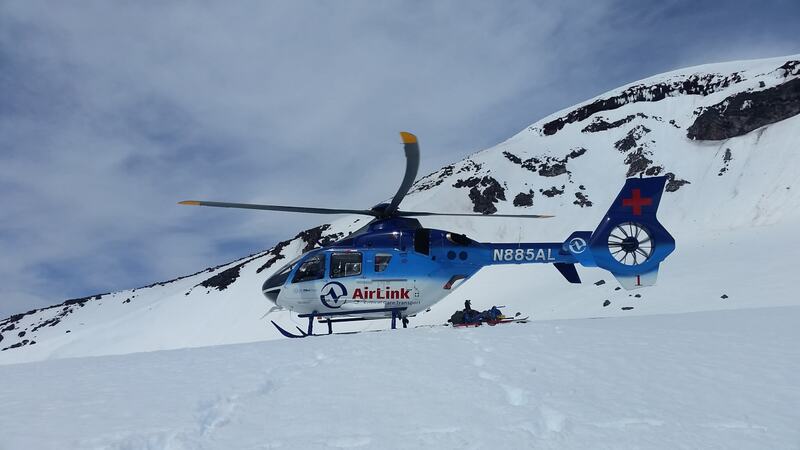 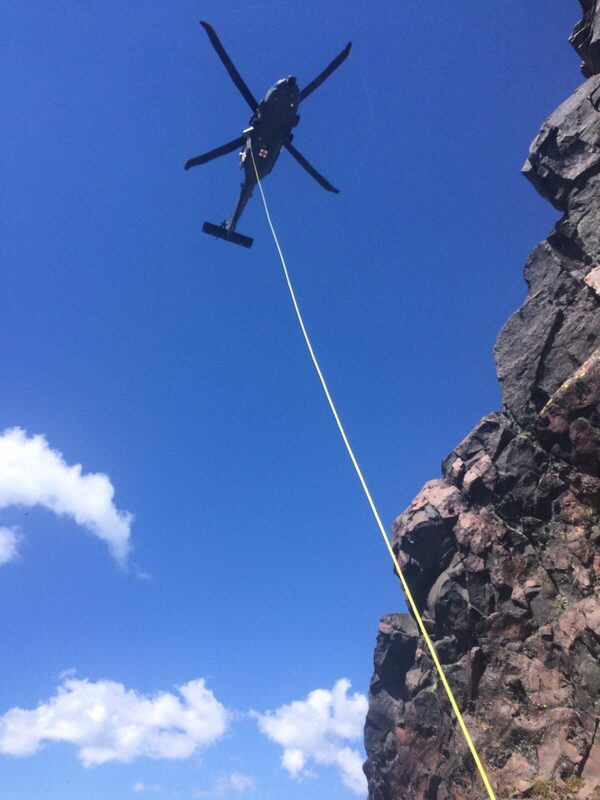 Chmiel reported they had sufficient food and clothing for the weather, but were stranded on a rock ledge, which was later determined to be approximately 250 feet above the climber’s trail below. 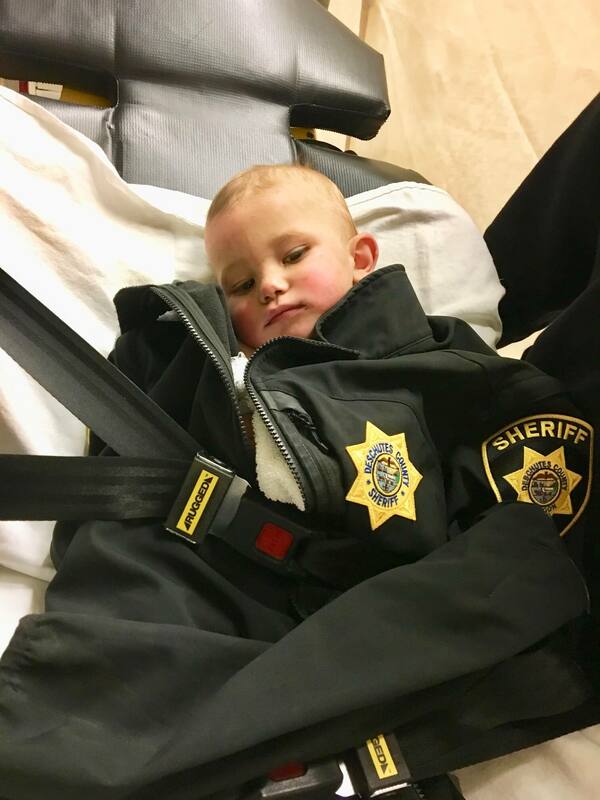 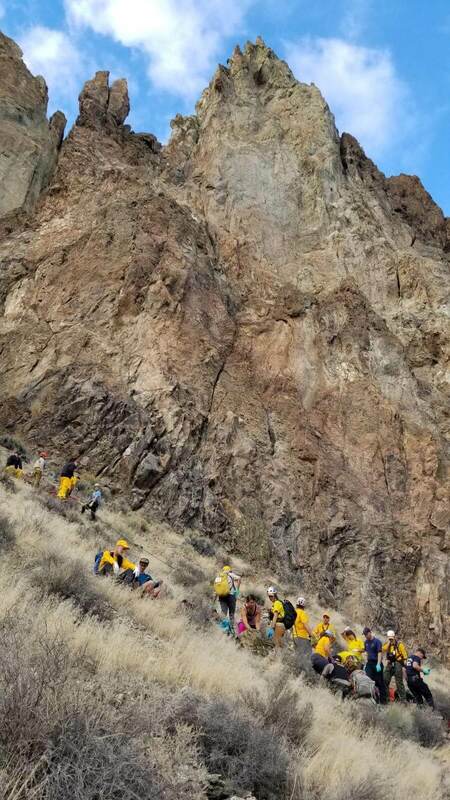 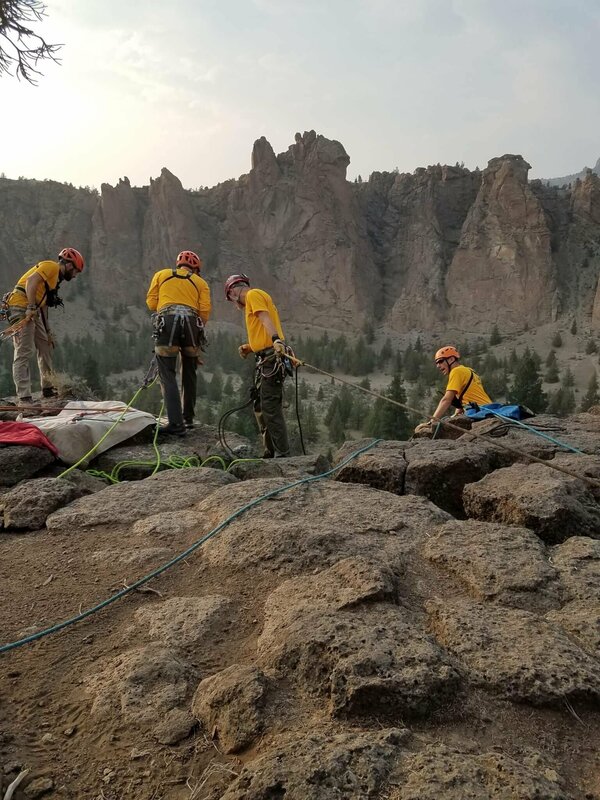 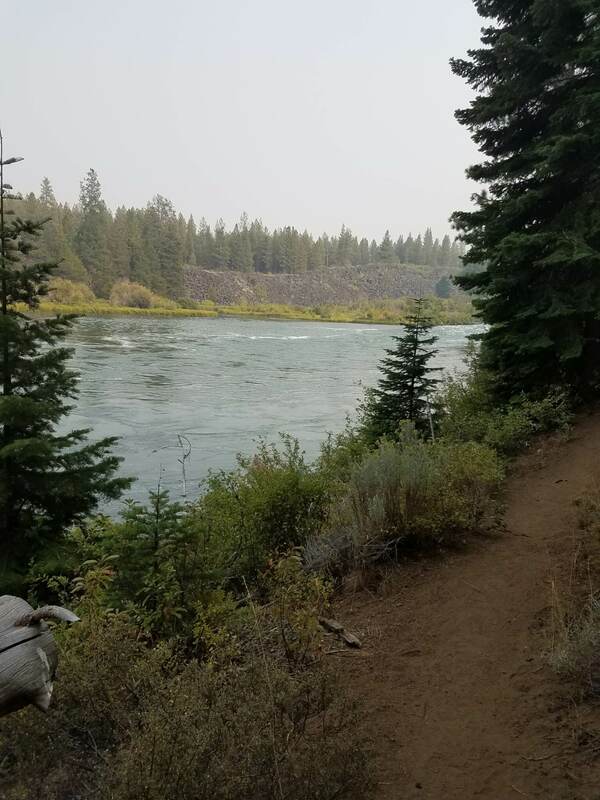 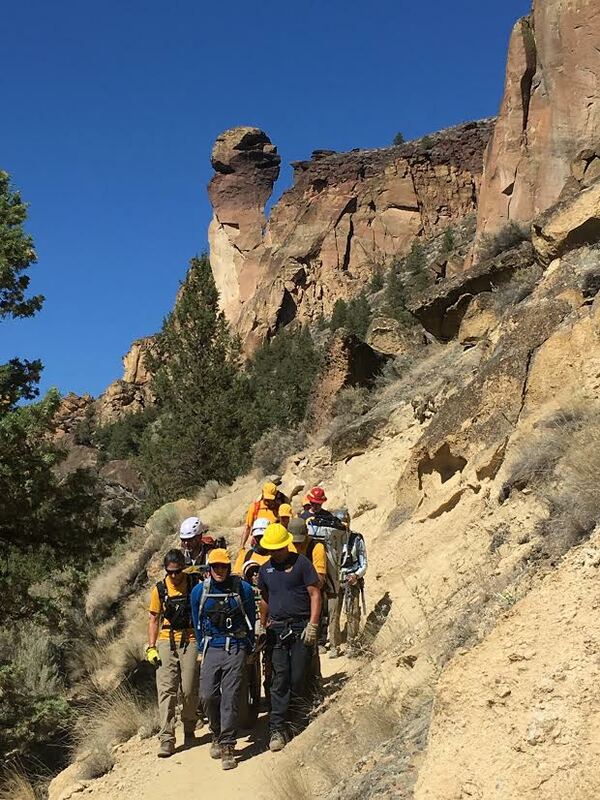 Ten Deschutes County Sheriff‘s Office Search and Rescue Volunteers along with three DCSO Deputies, responded to Smith Rock State Park, arriving at approximately 9:40pm. 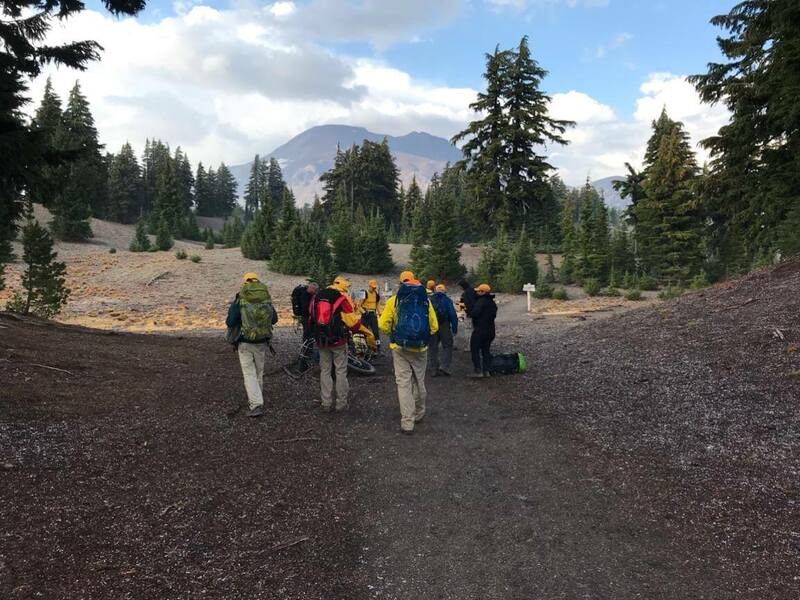 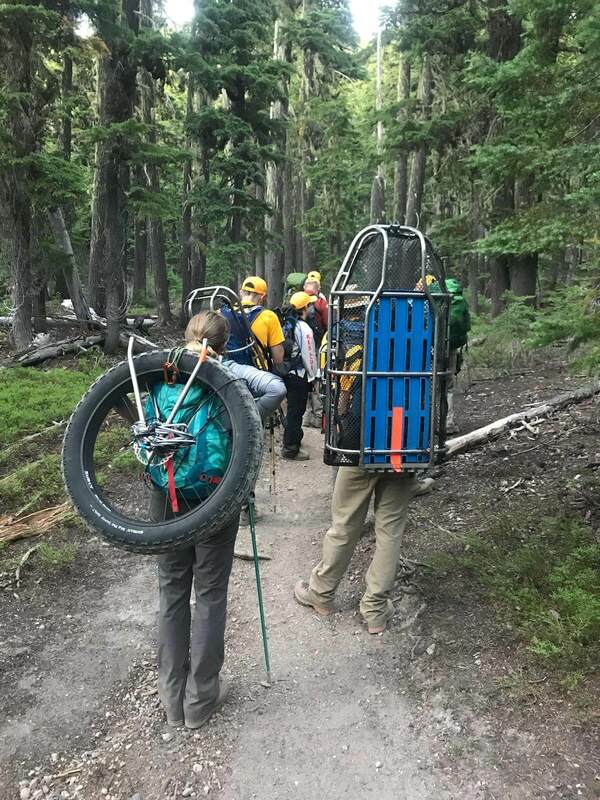 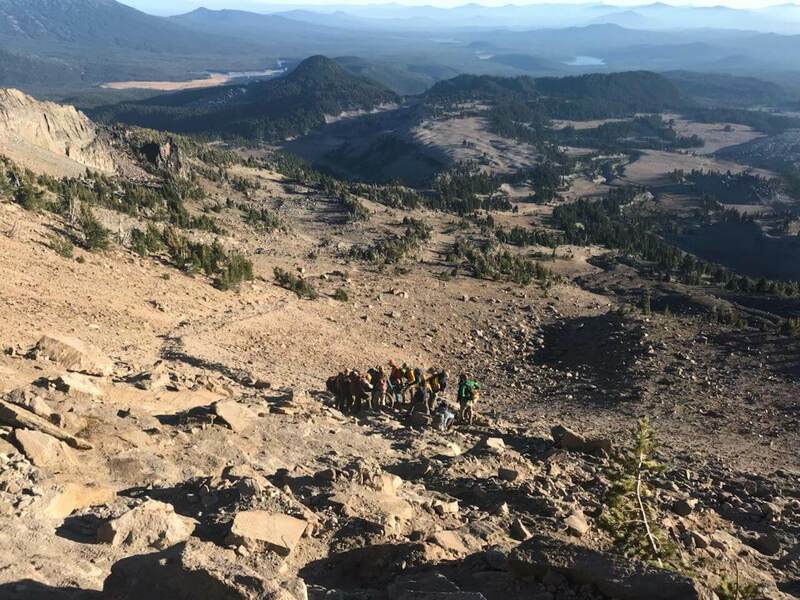 The ten DCSO SAR Volunteers, who are also part of the unit’s Mountain Rescue Team, hiked in with additional climbing ropes and high angle rescue gear, working their way up climber’s trails to the top of Wherever I May Roam. 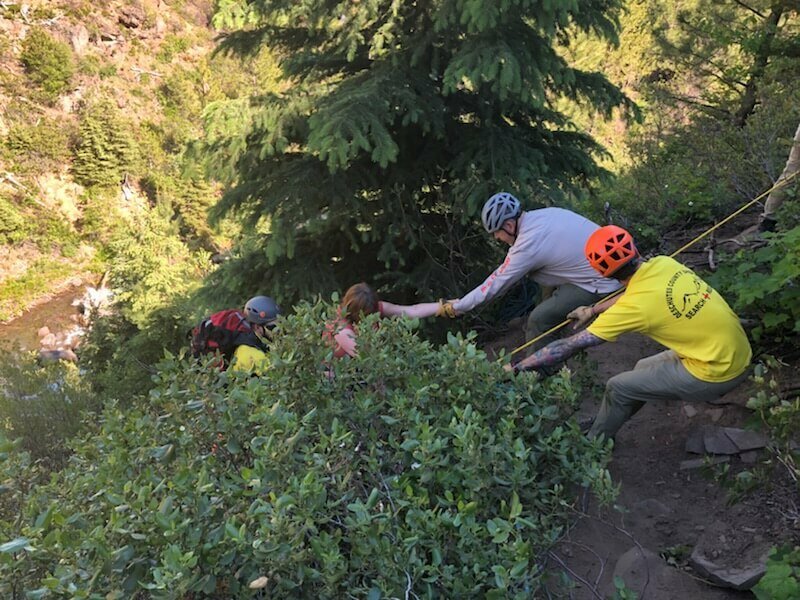 Additional rope systems were set up, allowing DCSO SAR Volunteers to rappel down to the stranded climbers and then assisting the stranded climbers further down to the climber’s trail below. 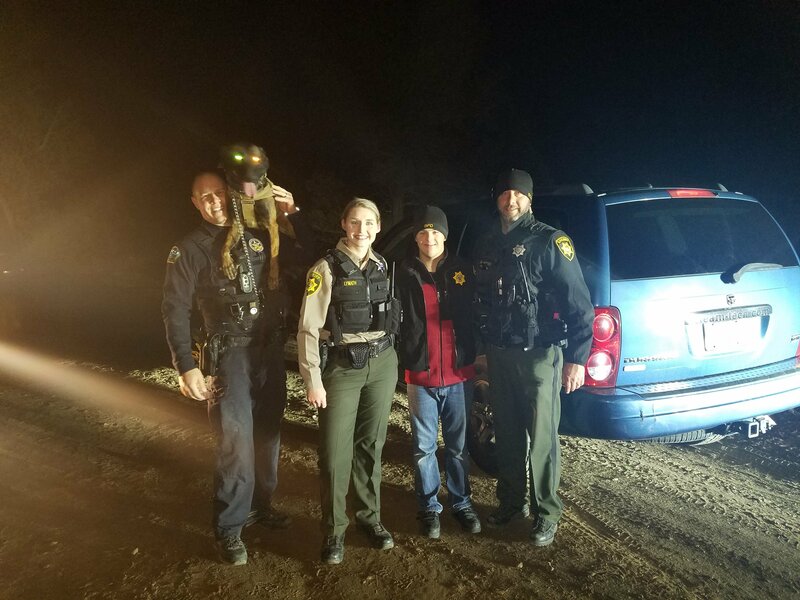 There were no injuries and no medical attention needed. 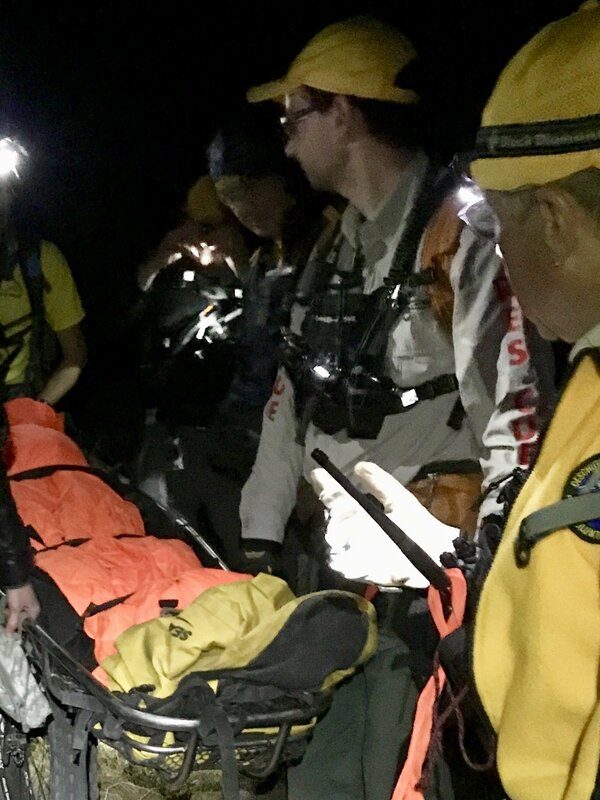 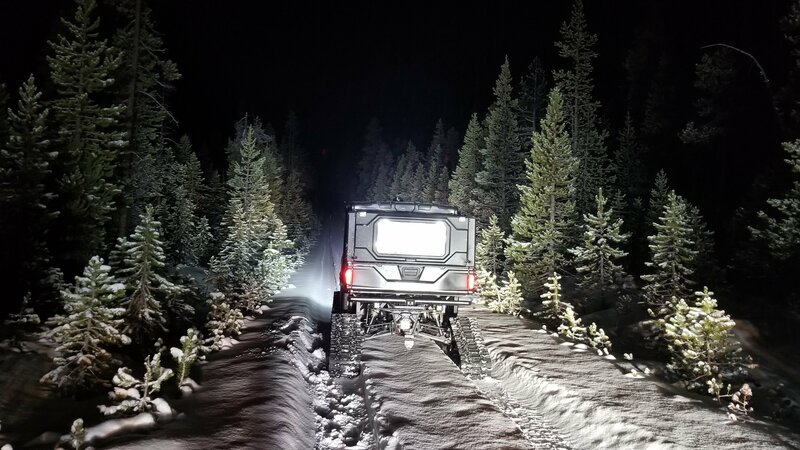 Due to the night time conditions, the rescue was prolonged and not complete until approximately 2:40am. 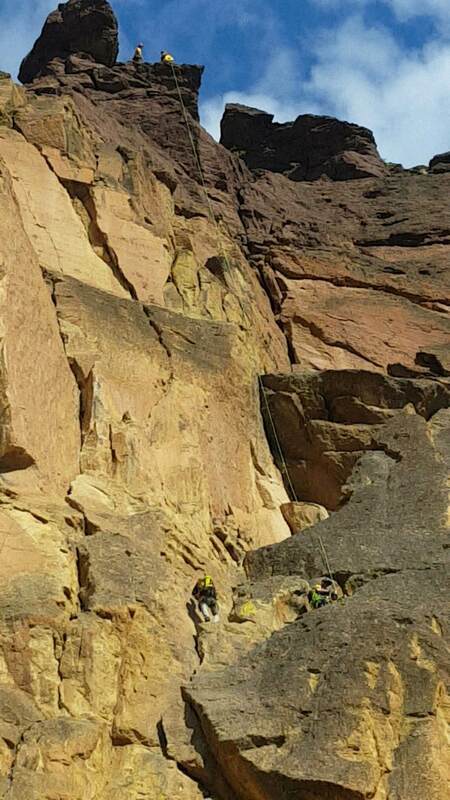 The rescued subjects were experienced climbers, but not familiar with the climbing route they were on, which led to them choosing the incorrect descent route. 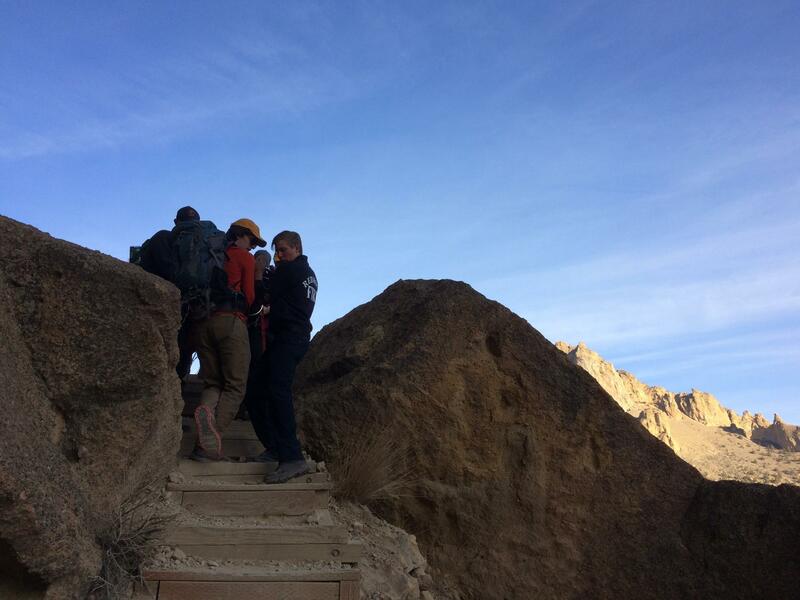 It is recommended for anyone climbing in a new area, to have a partner who has experience in that terrain.